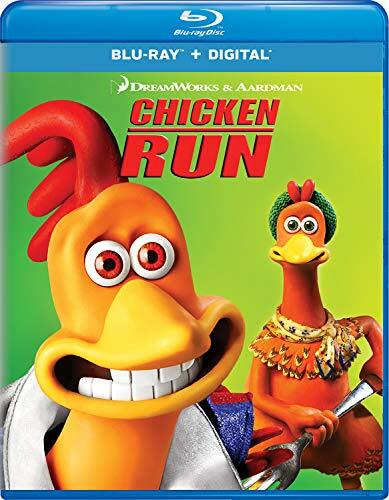 Featuring unforgettable characters, incredible animation and all-star voice talent, Chicken Run is an instant classic from the Academy Award-winning creatures of Wallace & Gromit! While the chickens on evil Mrs. Tweedy's farm dream of a better life, a clever hen named Gingers is hatching plans to fly the coop – for good! The only problem is chickens can't fly…or can they? Every escape attempt goes fowl until Rocky, a smooth-talking All-American rooster, crash-lands into the coo. It's hardly poultry in motion when Rocky attempts to teach Ginger and her fine feathered friends to fly…but, with teamwork, determination and a little bit o' cluck, the fearless flock plots one last daring attempt in a spectacular bid for freedom!